If you live in Brookwood or the surrounding area and need replacement windows, Camberley Glass and Windows are the best choice you could make. We are a local company with a record second to none in glass and glazing. Having begun as a group of family run companies, established in 1965, we have now expanded into all aspects of the glass and glazing industry. We retain the ethos of those early family companies in our belief in customer care, attention to detail and professionalism. Much of our business comes from personal recommendation and repeat clients because of our personal approach. We score very highly on Checkatrade and have excellent testimonials on our website. We are also on the Buckinghamshire and Surrey Trading Standards Approved list of traders. We are amongst the best companies in the country with regard to product knowledge in the glass and glazing industry. We are fully qualified in all aspects of current requirements and regulations, and are FENSA registered. No job is too small or too large, so do not hesitate to contact us. We can supply a large range of windows in whatever style, material, texture and finish you want and also the window furniture of your choice. We only supply windows of the highest standards for reliability, security and energy conservation. And for you peace of mind all our double glazing and glass installations are backed with a fully insured guarantee. 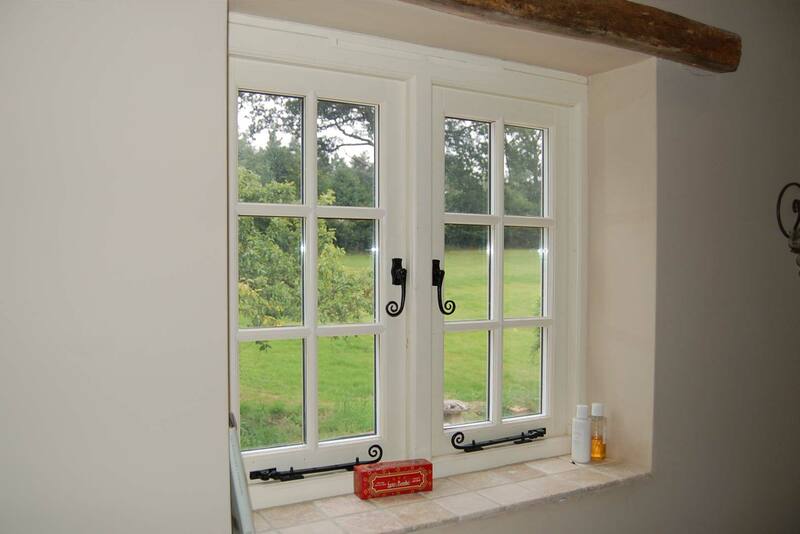 For all your replacement window requirements do call us, or visit our showrooms at our offices in Camberley, Surrey. We have a knowledgeable team of advisers who will be able to answer any questions and provide you with the help and advice you need.